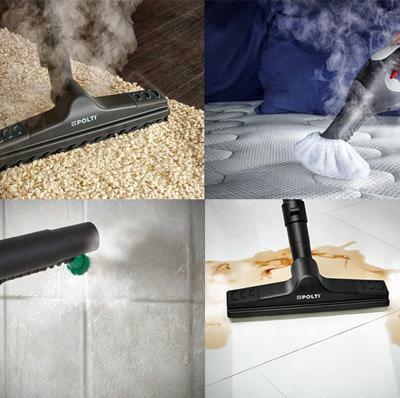 Steam cleans, vacuums with water. The double power of nature. Ideal for complete in-depth cleaning of your home. The hygienic action of the steam combined with the effective suction with water filtration ensures in-depth cleaning of all surfaces, removing dust for longer and neutralizing dust mites, germs and bacteria while delivering cleaner air. 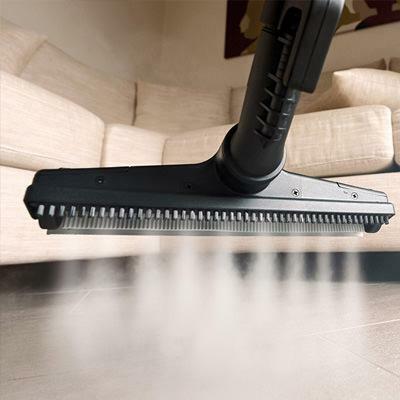 Vaporetto Lecoaspira, used as a steam cleaner, steam clean floors and all washable surfaces; as a vacuum cleaner it collects dry dirt and liquids. A complete product, particularly suitable for a home with children or pets. Total hygiene: kills and removes 99.99% of germs, bacteria and viruses* without detergents. Vaporetto Lecoaspira generates, in an aluminium boiler, steam that is dry, constant and powerful with up to 6 bar of pressure. It's the most natural resource you can use to take care of your home while respecting the environment. The steam is simply water brought to a high temperature that, thanks to the power with which it's delivered, can clean in-depth and act on even the most stubborn dirt. Cleaning power with deep yet delicate action. No cleaning products or extra detergents: savings for you, protection for the environment. *Tests carried out by an external, independent laboratory show that Polti Vaporetto Lecoaspira kills and removes 99.99% of the most common germs, bacteria and viruses. The air at home is cleaner with water filter technology. Water is the best medium for trapping dust, dust mites and pollen, purifying the air you breathe. The water filter generates a vortex inside the dirt collector: the centrifugal force pushes the dirt to the bottom of the collector and water traps it, preventing it from scattering and recirculating in the air. The Hepa filter, added to the water filtration system which allows you to vacuum dry dirt and liquids, holds back even the smallest particles of dust for cleaner and healthier air. 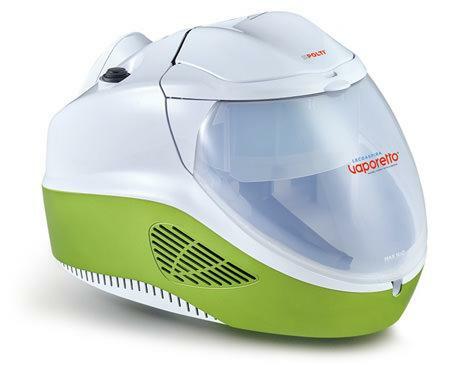 The effectiveness of the steam, coupled with water filtration and washable Hepa filter, makes Vaporetto Lecoaspira the ideal product for allergy sufferers. 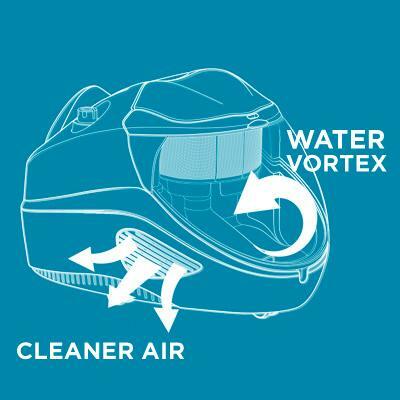 The steam action is able to destroy the dust mites with heat, the suction action with high filtration traps allergens, giving back cleaner air. 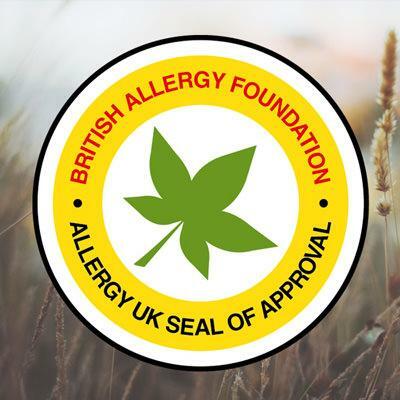 The efficacy of Vaporetto Lecoaspira in eliminating dust mites and allergens has been certified with the "seal of approval" of the prestigious British Allergy Foundation. Effective on all floors, bathroom fixtures, windows, sofas, tiles and even on clothes. 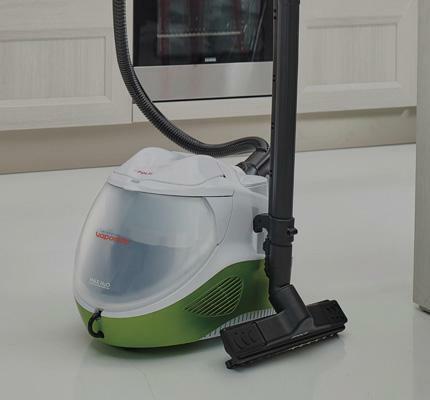 The Vaporetto Lecoaspira range is provided with features and accessories designed for easy cleaning of all the surfaces of the home: floors, even the most delicate floors, tile grouting, taps and bathroom fixtures, hobs and extractor hood filters, mattresses, pillows and sofas, windows and mirrors, and even curtains and clothes. 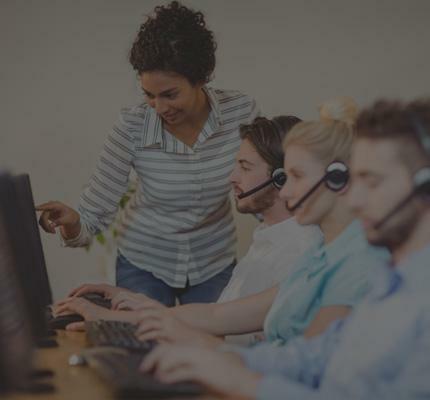 The various steam and vacuum adjustments allow quick and easy use, selecting the function (steam, vacuum, or both) that best fits your cleaning needs. Vaporetto Lecoaspira is a product designed in Italy and assembled at the Polti factory located in the province of Como. 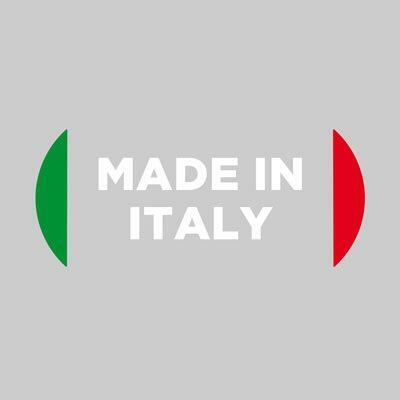 A product with an Italian heart, it encompasses all the know-how and skills of a team focused on quality and care at all stages of the production process.